Performance Center brings new .22LR rimfire rifles to its inventory, announcing new models in the T/CR22 rimfire rifle series. 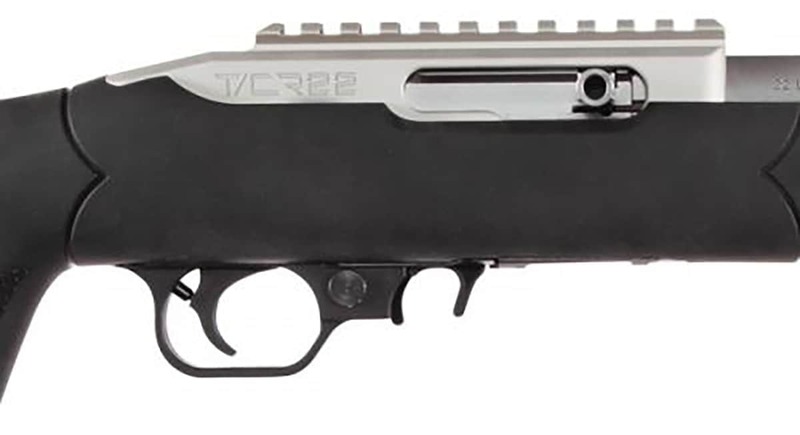 The new T/CR22 rifles offer either a Hogue Overmolded or Altamont Laminated thumbhole stock, depending on preference. Both styles deliver precision rifled, heavy contour, stainless steel 20-inch barrels with 1:15-inch twist rate. Boasting a fully machined 6061 aluminum receiver, the rifles also provide shooters with a full machined stainless steel, oversized bolt for easier handling. The T/CR22 features last shot bolt hold open during use with a factory magazine in addition to shipping optics ready with a built-in Picatinny rail. “For the second time in 2018, the Performance Center has partnered with Thompson/Center to develop the Performance Center T/CR22, a new, cutting-edge rimfire offering,” Tony Miele, General Manager of the Performance Center, said in a press release. “Building upon the success of the Thompson/Center T/CR22 rifle, we have designed and developed this specialized rifle for competitive shooting and small-game hunting, engineered to deliver the supreme accuracy and ergonomics that Performance Center is known for,” Miele continued. The T/CR22 ships alongside a 10-round rotary magazine and is compatible with most aftermarket 10/22 parts and accessories. The T/CR22 with Hogue Overmolded stock retails for $947 while the Altamont Laminated Thumbhole stock brings a price tag of $616. The post New T/CR22 rifles enter Performance Center lineup appeared first on Guns.com.